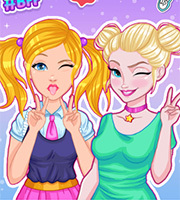 Description: Join these beautiful BFFs in one of the most stylish makeover games. 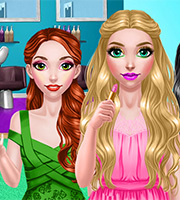 They need your help in order to get a glamorous new look. Enter the makeup room and experiment with the fanciest products on the market. Use glittery colors to make these divas look fabulous or try some pastel products to accentuate their natural beauty. 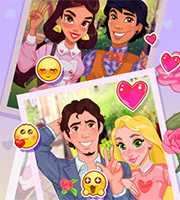 The BFFs are really excited to see what you will choose for them. 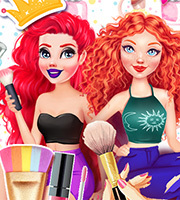 Combine lipstick, eye shadow, blush, mascara and contact lenses in order to create an unique new look for each girl!